Many people consider the face to be the most important part of the body. After all, it’s what first connects us to each other, and so the face we put out there impacts how we’re perceived. Women are changing the way they see themselves, and by choosing how to present themselves, they’re taking control over their lives. The number of women who are gaining awareness of their inner beauty is increasing all over the world. This, balanced with the conscious choice to participate in the world, ultimately makes for a confident, attractive woman. 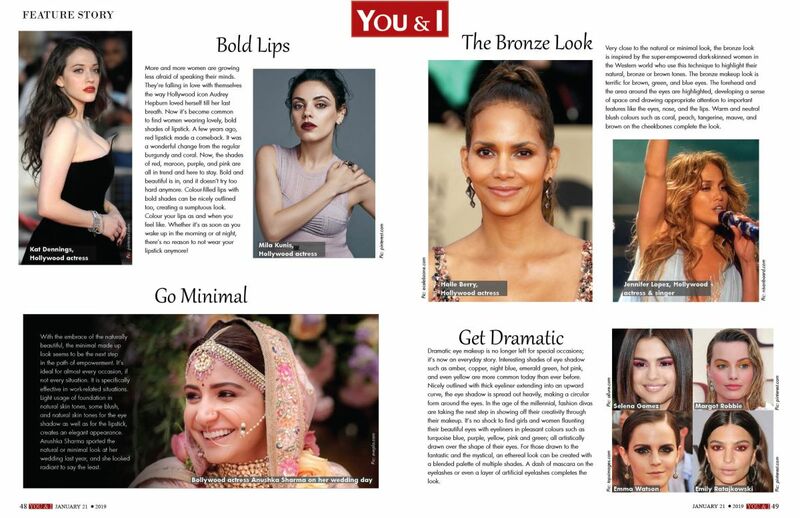 Let’s take a look at some of the strong makeup trends that today’s empowered women are rocking! 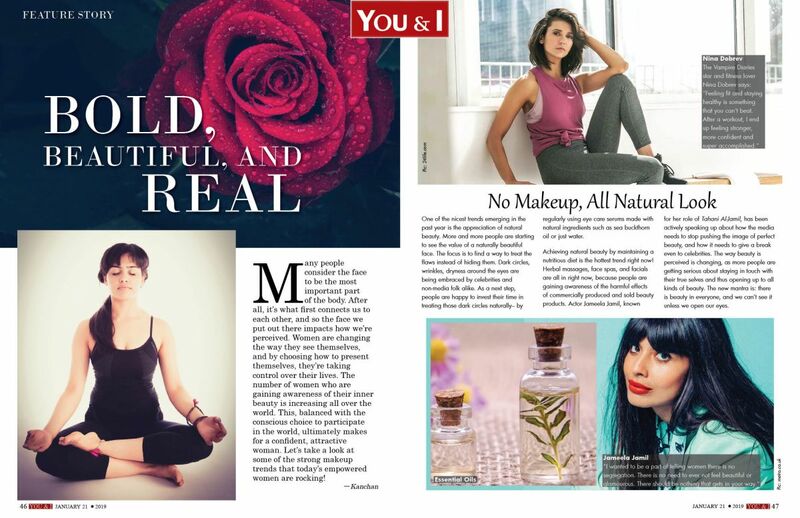 One of the nicest trends emerging in the past year is the appreciation of natural beauty. More and more people are starting to see the value of a naturally beautiful face. The focus is to find a way to treat the flaws instead of hiding them. Dark circles, wrinkles, dryness around the eyes are being embraced by celebrities and non-media folk alike. As a next step, people are happy to invest their time in treating those dark circles naturally– by regularly using eye care serums made with natural ingredients such as sea buckthorn oil or just water. Achieving natural beauty by maintaining a nutritious diet is the hottest trend right now! Herbal massages, face spas, and facials are all in right now, because people are gaining awareness of the harmful effects of commercially produced and sold beauty products. Actor Jameela Jamil, known for her role of Tahani Al-Jamil, has been actively speaking up about how the media needs to stop pushing the image of perfect beauty, and how it needs to give a break even to celebrities. The way beauty is perceived is changing, as more people are getting serious about staying in touch with their true selves and thus opening up to all kinds of beauty. The new mantra is: there is beauty in everyone, and we can’t see it unless we open our eyes. More and more women are growing less afraid of speaking their minds. They’re falling in love with themselves the way Hollywood icon Audrey Hepburn loved herself till her last breath. Now it’s become common to find women wearing lovely, bold shades of lipstick. A few years ago, red lipstick made a comeback. It was a wonderful change from the regular burgundy and coral. Now, the shades of red, maroon, purple, and pink are all in trend and here to stay. Bold and beautiful is in, and it doesn’t try too hard anymore. Colour-filled lips with bold shades can be nicely outlined too, creating a sumptuous look. Colour your lips as and when you feel like. Whether it’s as soon as you wake up in the morning or at night, there’s no reason to not wear your lipstick anymore! With the embrace of the naturally beautiful, the minimal made up look seems to be the next step in the path of empowerment. It’s ideal for almost every occasion, if not every situation. It is specifically effective in work-related situations. Light usage of foundation in natural skin tones, some blush, and natural skin tones for the eye shadow as well as for the lipstick, creates an elegant appearance. Anushka Sharma sported the natural or minimal look at her wedding last year, and she looked radiant to say the least. Very close to the natural or minimal look, the bronze look is inspired by the super-empowered dark-skinned women in the Western world who use this technique to highlight their natural, bronze or brown tones. The bronze makeup look is terrific for brown, green, and blue eyes. The forehead and the area around the eyes are highlighted, developing a sense of space and drawing appropriate attention to important features like the eyes, nose, and the lips. Warm and neutral blush colours such as coral, peach, tangerine, mauve, and brown on the cheekbones complete the look. Dramatic eye makeup is no longer left for special occasions; it’s now an everyday story. Interesting shades of eye shadow such as amber, copper, night blue, emerald green, hot pink, and even yellow are more common today than ever before. Nicely outlined with thick eyeliner extending into an upward curve, the eye shadow is spread out heavily, making a circular form around the eyes. In the age of the millennial, fashion divas are taking the next step in showing off their creativity through their makeup. It’s no shock to find girls and women flaunting their beautiful eyes with eyeliners in pleasant colours such as turquoise blue, purple, yellow, pink and green; all artistically drawn over the shape of their eyes. For those drawn to the fantastic and the mystical, an ethereal look can be created with a blended palette of multiple shades. A dash of mascara on the eyelashes or even a layer of artificial eyelashes completes the look.